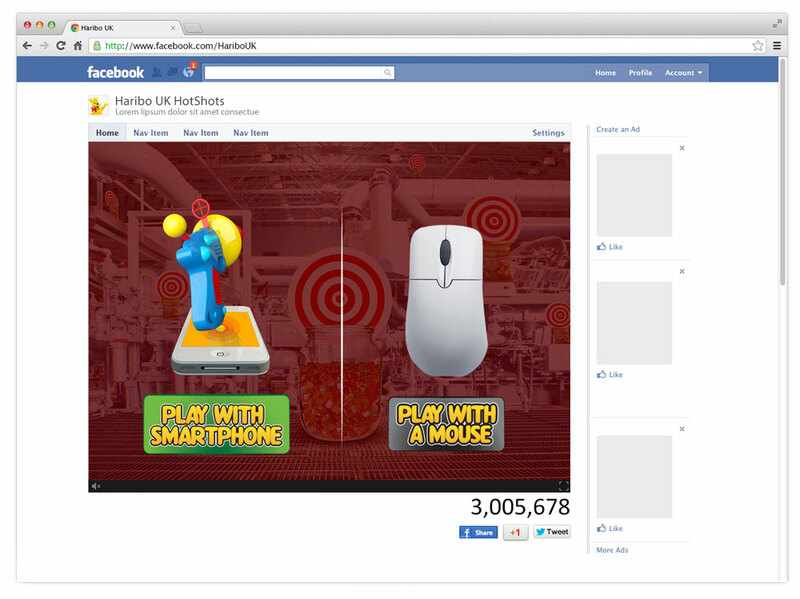 A digital campaign, designed specifically for a Facebook Canvas + You Tube Interactive rollout. 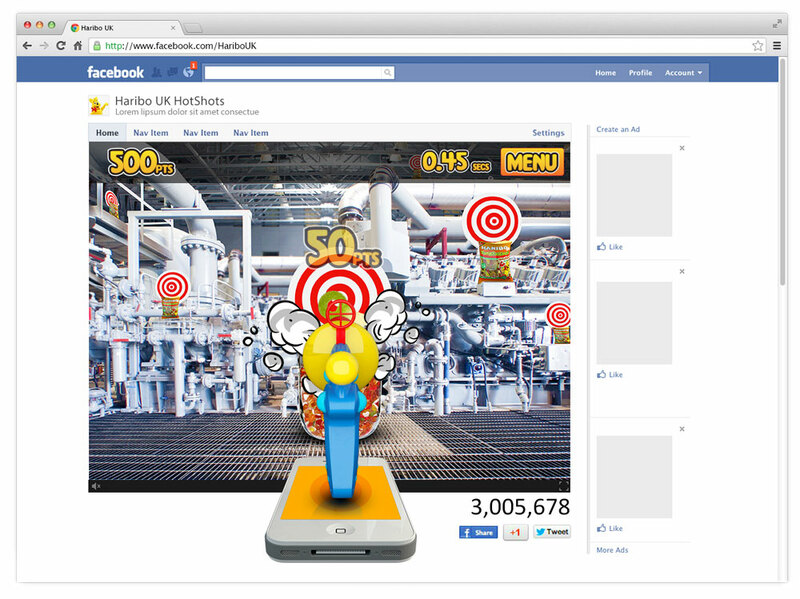 “Hots Shots” is a Haribo firing digital ray gun, directed towards the targets in a real world environment (the Haribo Factory) by viewers using their smartphones. 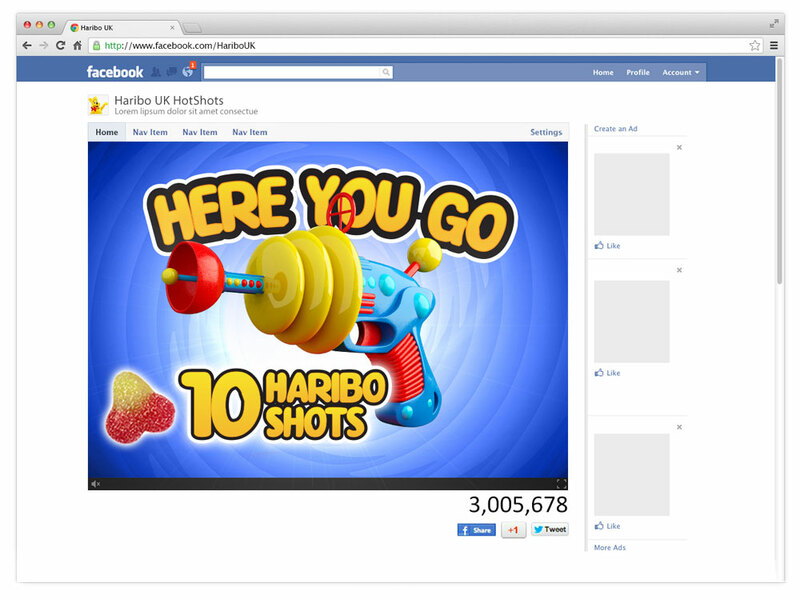 While the viewer tries to shoot the Haribo sweets into the score baskets – a real jar of sweets is filling up, and will be given away. This integrated social / digital campaign saw the high scores of a national compete to win holidays and sweet treats over the campaign length. 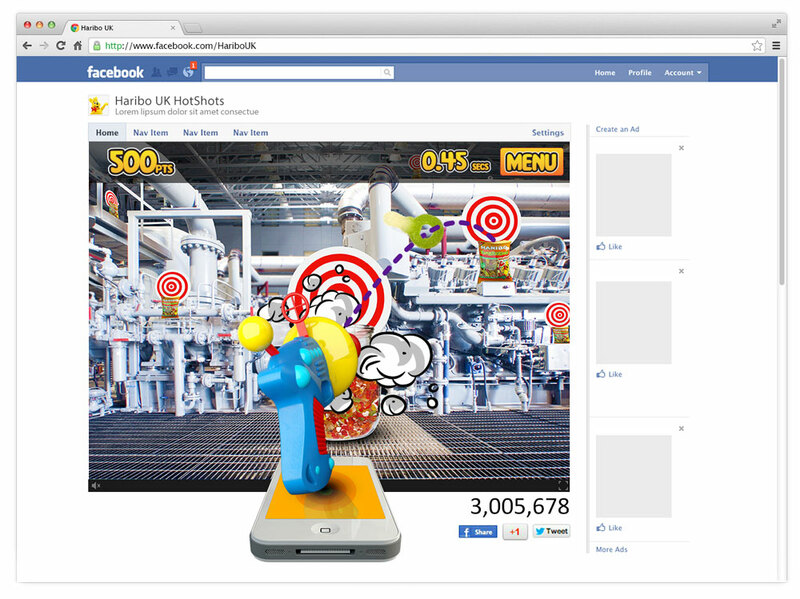 The campaign focuses on the mass interaction with the game. 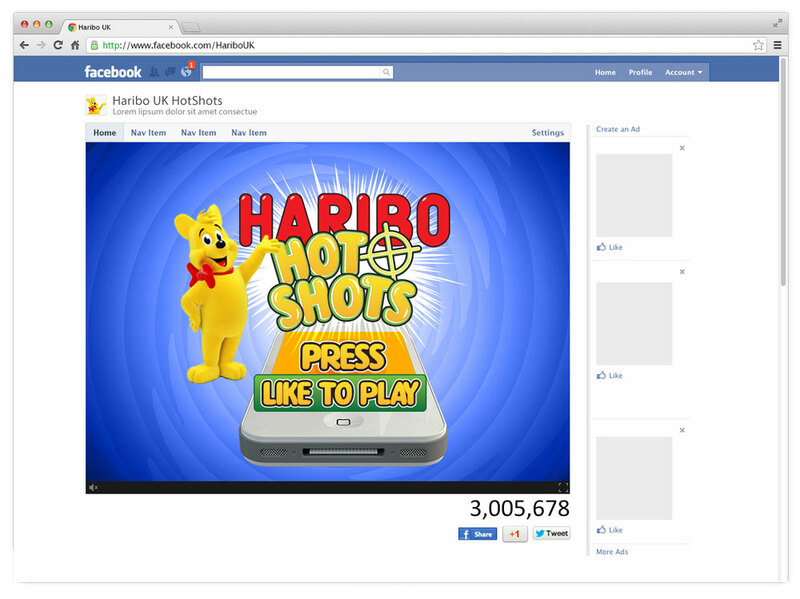 As more people play the game, hit the target, and score points, all the while the real world jar of Haribo continues to fill (within the frame of the interactive You Tube content), once full, the contents of the jar is given to the highest score that day. The campaign was halted in Pre-production unfortunately due to budgetary concerns in the paid promotion rollout.